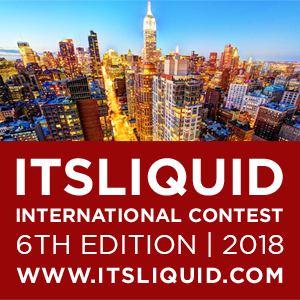 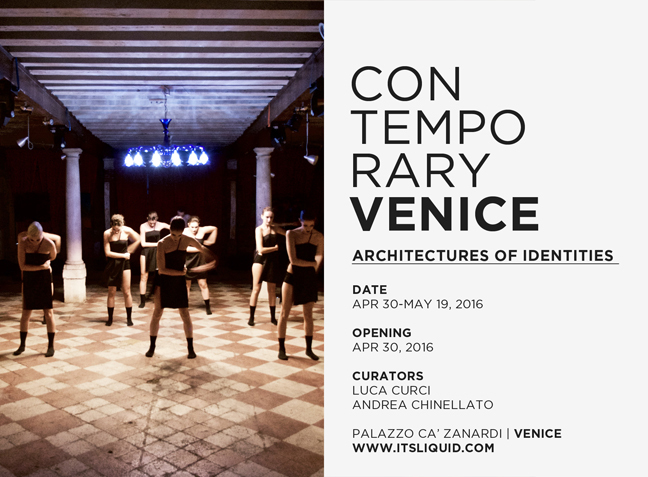 International ArtExpo, It’s Liquid Group, Venice Art House and Ca’ Zanardi, are proud to announce the opening of CONTEMPORARY VENICE – Architectures of Identities, international art exhibition of photography, video art, installation, painting and performance art. 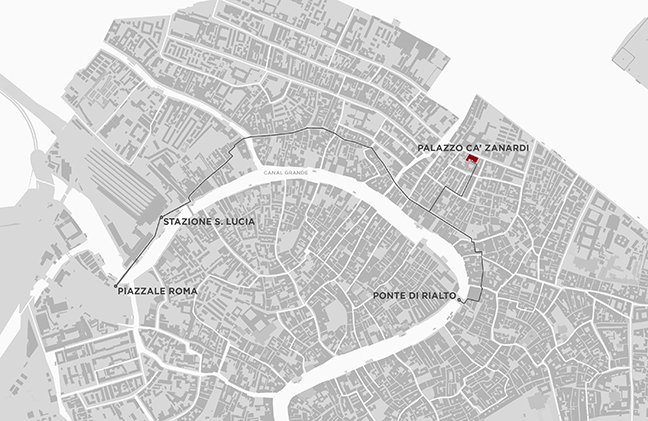 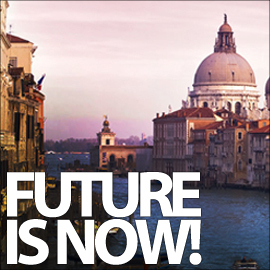 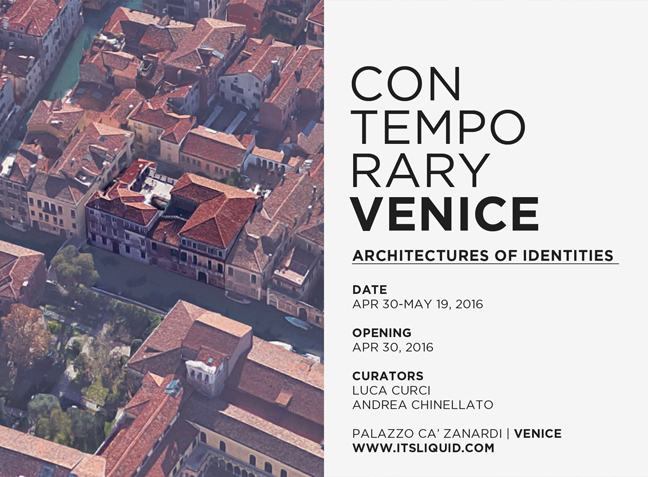 The opening of the event will be on April 30, 2016 at Palazzo Ca’ Zanardi in Venice, starting from 06:00 PM (free entry). 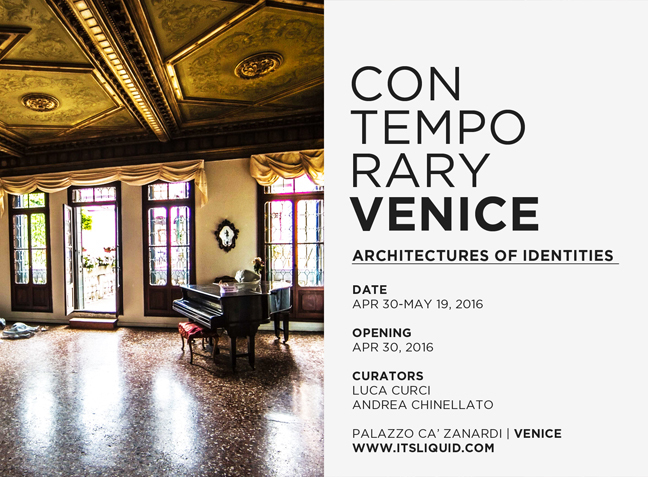 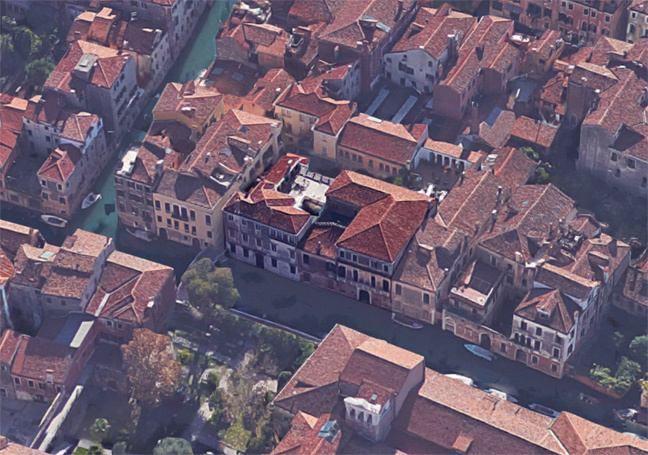 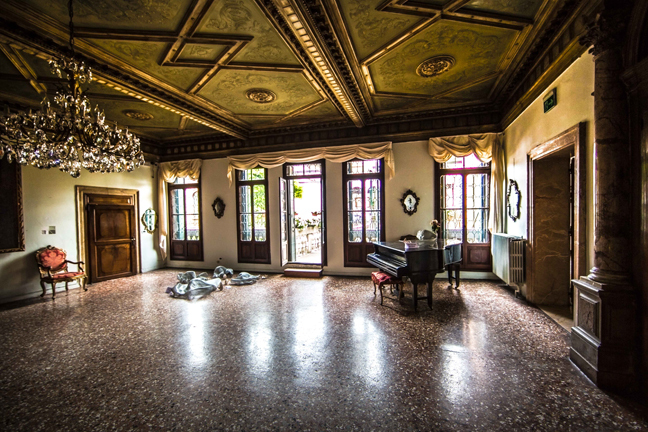 CONTEMPORARY VENICE – Architectures of Identities, international art exhibition of photography, video art, installation, painting and performance art, will be hosted in Venice, at Palazzo Ca’ Zanardi, from April 30 to May 19, 2016. 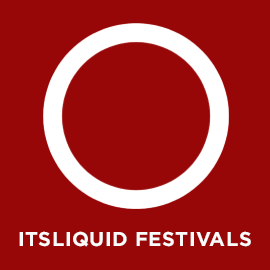 The event is curated by Arch. 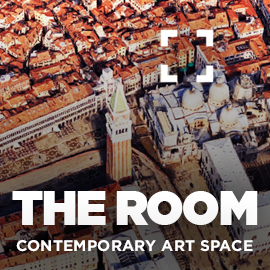 Luca Curci (director of International ArtExpo and It’s LIQUID Group) and Andrea Chinellato (director of Venice Art House and Ca’ Zanardi). 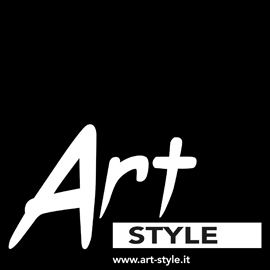 Starting from 2001, Luca Curci with International ArtExpo and It’s LIQUID Group, have curated and organized more than 120 contemporary art events, with the participation of about 4.000 international artists from all-over the world (UK, Spain, Italy, France, Austria, Portugal, The Netherlands, Finland, Sweden, Norway, Denmark, Switzerland, Greece, Germany, Turkey, Poland, USA, Argentina, Brazil, Peru, Israel, UAE, Russia, Thailand, etc.) 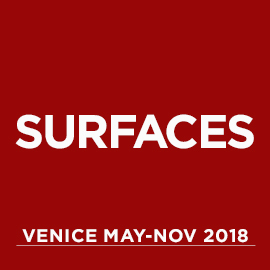 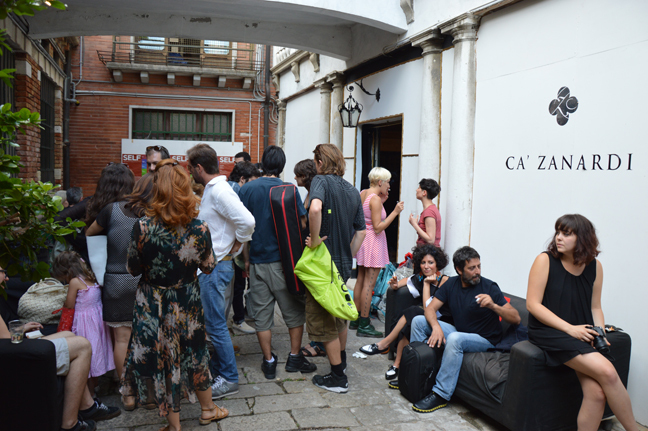 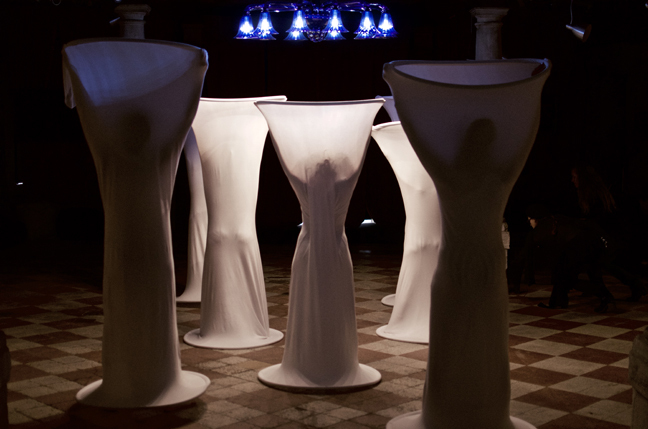 with an average of 45 artworks exhibited in each show (with a maximum of 108 artists involved in the great MORPHOS festival held in Venice during the Architecture Biennale 2014). 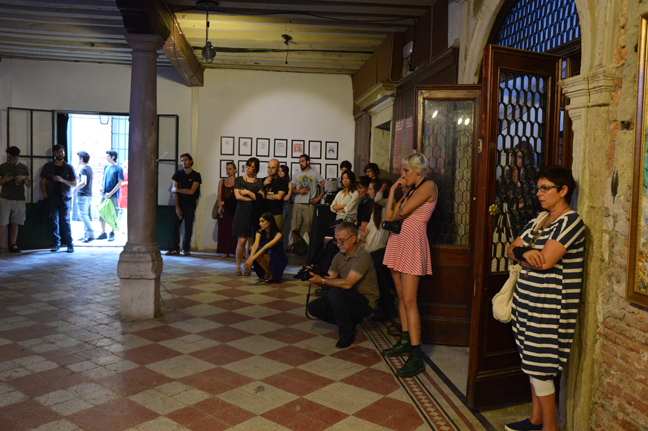 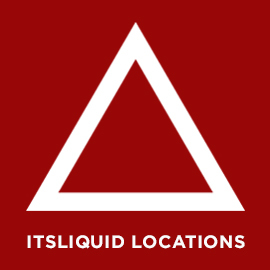 The organization has international partnerships with art venues in Italy, Turkey, USA, Spain, Argentina, UK, Middle East, etc., and collaborates with museums, galleries and institutions such as MuMo – Museum Montanelli in Prague, Laura Haber Gallery in Buenos Aires, MIXER gallery in Istanbul and MECA art center in Almeria.